Grimmie has been my online identity for probably the last 10 years, when I first started playing Final Fantasy XI. I originally made an Elvaan, but succumbed to the allure of the Tarutaru and made a cutesy putesy destruction machine. Although the game has evolved a lot over the years, and I really don’t play much at all, except on the rare occasion that I want to see what the new content is like, I still love Tarutarus (especially the rare green hair pig-tailed tarutaru female <3). 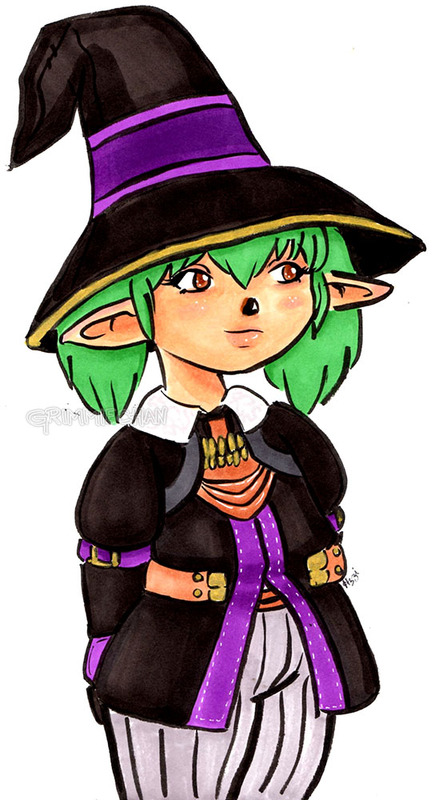 And I still love Tarutaru black mages, doubly so. It was so, so important to get BLM relic armor, even though most of it was completely situational, and new expansions made it obsolete.